I have to share with you all, this amazing photo book I got from Mixbook! I created a photo book of quite a few photos of Clay over the first almost two years! I can’t believe in October he will be 2 years old! 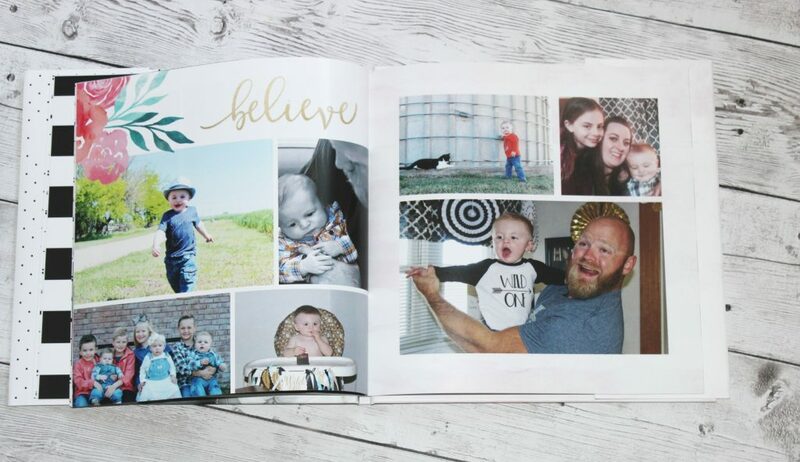 I wanted to create a personalized photo book to have, so we could cherish it for years! If there is one thing anyone knows about me is I love capturing special moments with my camera, to have and look back on later! Mixbook is an online service that is great for creating and sharing the world’s most customizable photo books, calendars, cards, stationery, invitations and so much more. You can really create custom products to display or send to your loved ones! The best part is their prices are good and they make it affordable! When my photo book arrived and I opened it up, I was blown away. You guys, the quality of this book is outstanding, they went over and beyond to create a perfect book that is filled with very special moments in our lives! I love how clean and crisp the book is, and I absolutely love the cover. 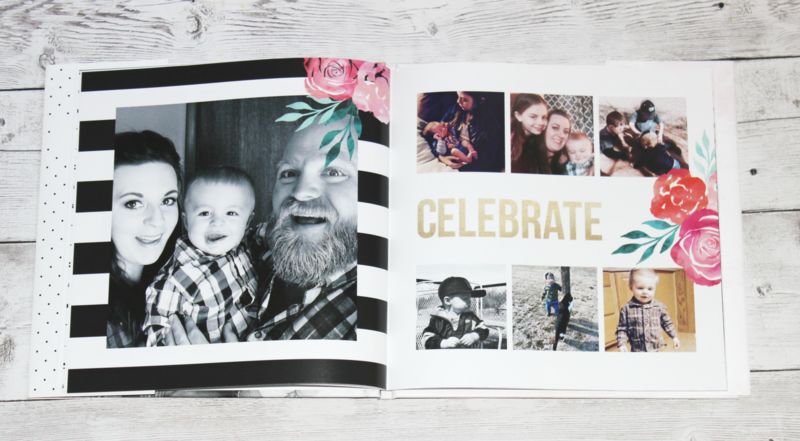 You can choose from all different occasions and designs for your photo book if you make one! Uploading your images is a breeze, and you can easily drag and place the images where you want them to go. If you don’t like the layout of a page, you can easily change it. They give you so many different options to choose from so that you can make your book fit exactly what you want. I changed the page layout multiple times, as I wanted more images on each page, instead of just a few. It is so easy to do, and I created a book that was exactly what I wanted. The whole process from start to finish on making my book was simple and stress-free! I am excited to start shopping and ordering more items from Mixbook, as I am blown away by the quality of their line of products. Each year I make my sister a calendar for Christmas, I am excited to make one for her this year, using Mixbooks! Check out Mixbook for all your photo needs! They have so many amazing products for different occasions, you are sure to find exactly what you are looking for! I made a photo book for my husband for father’s day and he loved it. Its a wonderful personalized gift idea! Oh, I love this! How cute! This would be the perfect gift for my mom’s 65th birthday! I love photobooks, they are adorable! I have one I made a couple of years back and the quality is just amazing. I hadn’t heard of this brand yet, but pretty sure I will be giving them a try. As a girl who is obsessed with photos and I have so many photo albums of the old school kind, I will be that girl who uses something like this quite often! 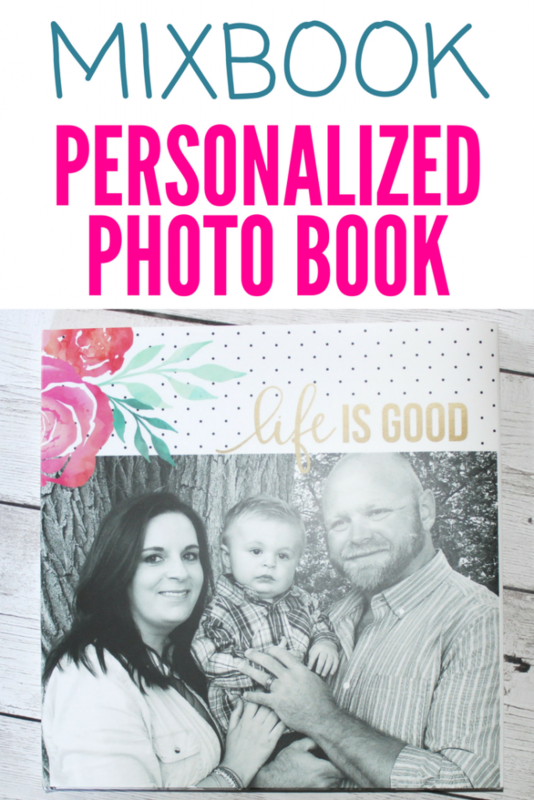 Personalized photo books are a nice gift idea for a friend or loved one. They’d also be a great gift suggestion for a coworker. My brother-in-law did a custom hardcover book a few years ago. 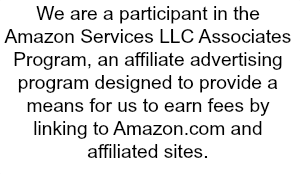 From looking at their website, he paid a LOT more! Cute!!! I love making photo books like this!! It’s been a while since I’ve made one and ordered one though. I need to do that soon!! !